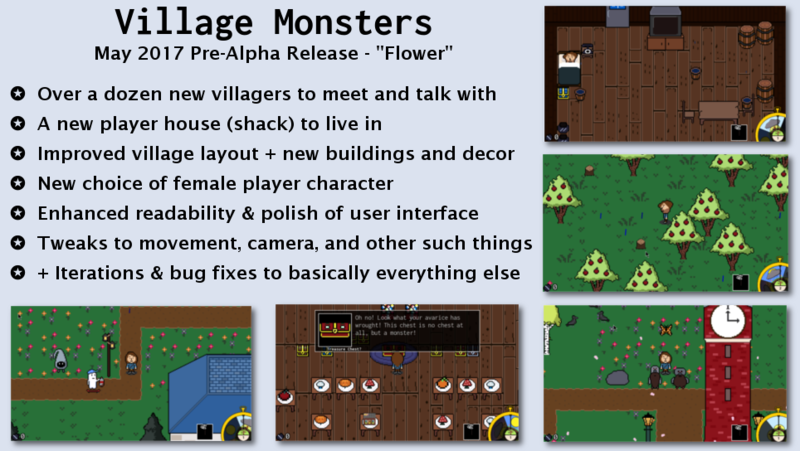 A new full moon means a new version of Village Monsters for you to have fun with. I’m happy to announce that the latest Were-Release (what is this? ), code named “Flower“, is now officially released. 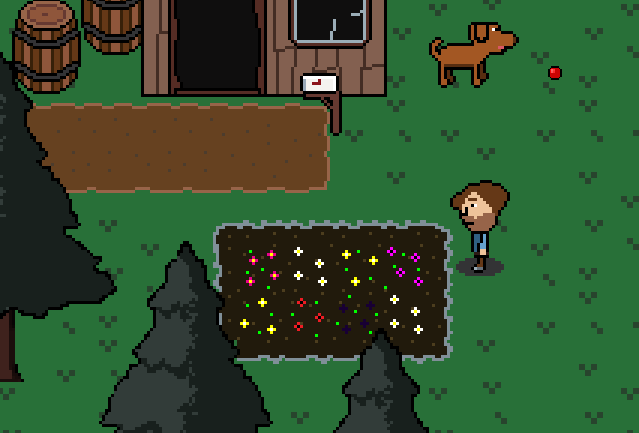 This is also considered a minor version, meaning that the focus was on polish, bugfixes, and new content. You can expect the same overall structure and feel of the game to be similar to the last release. The next major release is scheduled to come out this Summer, so be sure to get in any feedback or suggestions before then.